If you don't have the time or money to buy a second pair of shoes, you can change your brown shoes into black ones. Black leather shoe polish is a temporary fix if the shoes are leather. It darkens the sheen of the brown, and afterwards you can rub the polish off. 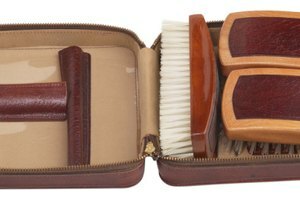 Leather dye is a permanent change, and it should be used in conjunction with shoe polish to produce the best results. Clean shoes properly with leather cleaner or shoe brush. Apply black leather dye to your brown shoes with applicator. After it dries, apply a second coat of dye. 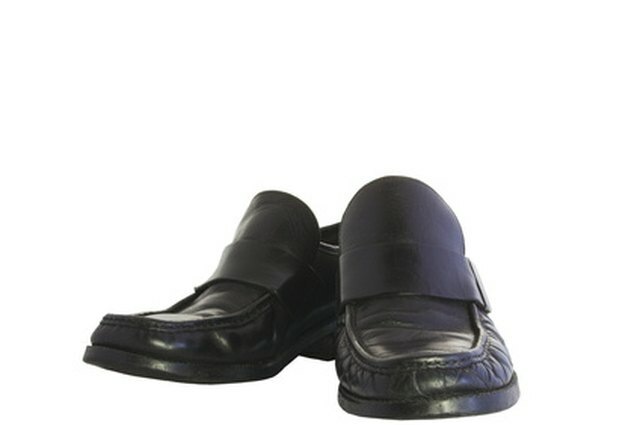 Polish shoes with black shoe polish with a sponge or rag and apply a second coat when the first dries. If you change your brown shoes to black by yourself it may not look as professional as having a professional dye them or buying a new pair of black shoes. If the shoes are fabric, a shoe repair shop should be able to dye them black. Leather dye is meant for restoring faded color and may not give you the desired results. Black spray paint may be used as a last option, but it will turn the shoes matte and dull. Use care when working with dye. It may stain on your hands. Be aware that using dye is permanent. You cannot change the shoes back to brown easily after using dye.